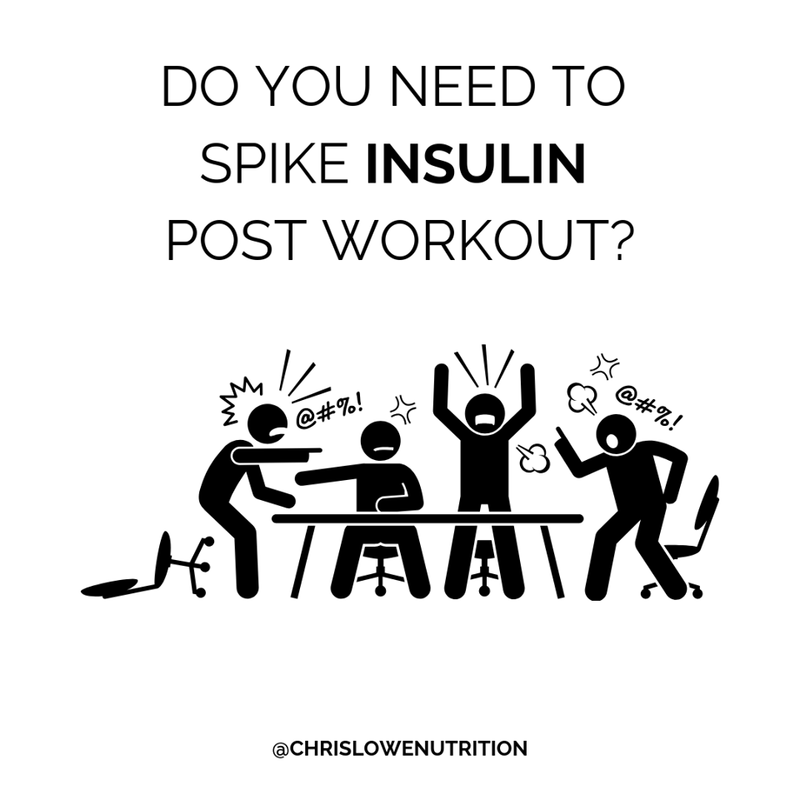 Today’s topic still causes a huge amount of debate amongst the athlete and gym bro; Do you need to ‘spike’ insulin post training to further increase muscle growth? When Koopman et al (2007) tested this, they found absolutely no difference in your ability to gain muscle when you have a tonne of carbs with your protein shake. Here’s what they did; Trained dudes consumed one of three drinks post training to see what would work best. Drink 1: Whey protein (0.3g/kg) + 0 carbs. Drink 2: Whey protein (0.3g/kg) + 0.15g/kg carbs. Drink 3: Whey protein (0.3g/kg) + 0.6g/kg carbs. For an 80kg guy, he would drink 24g of whey protein with either zero, 12g or 48g of carbs every hour for up to six hours. So, he would consume enough protein to stimulate muscle protein synthesis which left the carbs redundant for muscle gain. What people quickly forget is that protein is insulinogenic, i.e. it increases insulin. You only need a moderate elevation in insulin (15-30 mU/L) to maximise next protein balance which can be achieved by consuming a whey protein drink alone. Even when insulin is increased over 30x fasting levels, you still don’t get extra gains. So, post workout carbs? 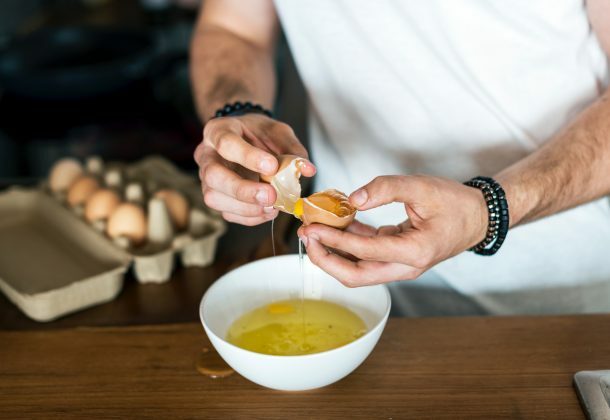 It may be a good idea to have some carbs post training to replenish glycogen stores for your next training session IF you’re training the same muscle within a 24 hour period. If you’re not, just have some pasta with your evening meal as the timing of carbs will have little relevance for you. Think about it, if you train chest on a Monday, do you actually need to replenish those stores quickly if you’re not training it for another 7 days. I think not.